The Book and the Heart, the two essential elements in the brand of the Order of Augustinian Recollects (OAR), signify unity and solidarity with the Recoletos global community. Color red expresses the Augustinian passion to serve God and His people. The Cross stands as a reminder that every initiative for revitalization and restructuring, every Life and Mission Project, etc. must always start afresh from Christ. The Rising Sun with four rays captures the Asian geography where the Recollection promises to continue to rise and grow. The four rays represent the four provinces of the newly-configured Augustinian Recollect Order, namely, the Provinces of St. Nicholas of Tolentine, of St. Thomas of Villanueva, of Our Lady of Candelaria, and of St. Ezekiel Moreno. It is also reminiscent of the sun of the Filipino flag that was the center of the centennial celebration of freedom in 1998, the year when this fourth Province was established. This year, 2018, thus, marks the Province of St. Ezekiel’s 20th founding anniversary! Color yellow signifies cheerfulness or joy in living out our consecrated life as Augustinian Recollects wherever we may be assigned. 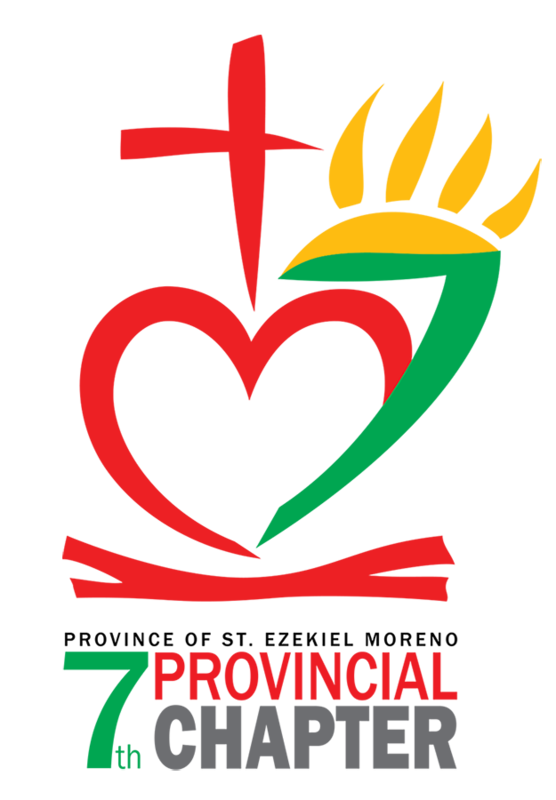 The number ‘7’ indicates the seventh time that this youngest province of the Order will convene its Provincial Chapter. These are the years when the past provincial chapters were celebrated, always at the Talavera House of Prayer-Recoletos in Cebu City: 1999, 2003, 2006, 2009, 2012, 2015. Color green signifies its traditional reference to nature and growth, thus our continuing responsiveness and responsibility towards Mother Earth and to the ultimate source of Life.